Technology transforms the workplace, and with Sage 100 software, combined with Sage HRMS HR Actions by Delphia Consulting, you can attract the right people to your company and transform your HR processes. Without the right people in the right positions, technology transformation remains meaningless. A strong corporate culture, engaged employees, and seasoned leaders provide the right combination of personnel and assets that make a sustainable long-term business. These are the people who can implement, manage, and grow a specialized portfolio of products and services in the evolving world of manufacturing. This is the team who will embrace the Internet of Things (IoT), machine learning, artificial intelligence (AI), or all three. To succeed, they will need to build the skills to keep up with the digital revolution. As numerous demands vie for every last dollar, you might be tempted to shift funds from human resources towards other areas of your company. Instead of cutting costs in HR, it would be smarter to invest in the people and resources needed to manage them to handle growth. Investing in people and systems that support personnel growth and recruitment pays off handsomely. 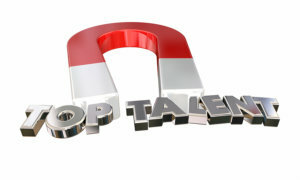 You can identify critical current and future talent needs the organization must nurture. It’s essential to create and share consistent core values and mission among diverse employees. It’s also critical to “always be recruiting” so you have a steady pipeline of potential applicants at all stages of company growth. Even if you don’t have positions open now, if you are always recruiting, you will be ready to fill vacancies if you’re familiar with the brightest minds in your business area. Be open to people who might not fit the exact image of someone in your industry but who have a bright, curious, and adaptive mind. Someone may have the right skills or attitude that fits in well with your company’s culture but not the industry experience that would make them the “perfect” candidate. Industry experience can be taught, but attitude is difficult to change. You might be better off with someone who has the right mindset. Recruiting calls to mind a heavy-handed approach like knocking on doors to sell something. Instead of recruiting candidates, consider an attraction mindset. An attraction mindset means that your company promotes its core values, work ethics, and workplace benefits all the time rather than when it needs to hire in a pinch. Because it is always promoting itself as a great place to work, those in your industry will be attracted to work there and will keep an eye open for potential vacancies. You’ll end up doing less work to hire new people and find better employees, too, because they will come to you. Cyber Recruiter, part of Sage HRMS and Sage 100 accounting, streamlines this process. It offers intelligent job posting, matching job posts from your site across multiple platforms such as top help-wanted sites. It lets you search among applicants, screen candidates, and more. You can also maintain resumes in the system so that when a position opens, you’ll have potential candidates at the ready. Another area where your company can shine is in the field of training. Companies often find that the local talent pool for manufacturing jobs lacks specific skills. One way to ensure a consistent pipeline of skilled applicants is to partner with high schools, colleges, and other organizations to offer apprenticeships. The apprentice system helps many young people enter the manufacturing industry by acquiring the right skills needed by local businesses. Sage HRMS Cyber Train also offers an excellent tool that works with Sage 100 accounting to provide a training platform for your employees. You can schedule automated training sessions, manage groups, and ensure compliance with training requirements. Attracting skilled employees to your company is just the start. In the age of AI, machine learning, and technology-driven enterprises, you are also competing against technology companies for skilled workers, especially Millennial generation employees. The right workplace culture can help you attract younger workers away from the competition. Millennials prefer flexible work environments, team-based approaches, and creative environments. Consider how you can build this into your company. A fresh approach to workplace culture may provide you with opportunities to shape a company that attracts young people into the manufacturing industry. The biggest challenge for industrial manufacturing companies in the process of digital transformation isn’t the technology. It’s finding people interested in manufacturing careers who have the right combination of talent, creativity, and analytical skills to get the job done right. Successful manufacturers in this age of digital transformation will be those companies who think outside the box. By using recruiting and training tools that work with your Sage 100 accounting system, considering new talent pools, constantly attracting people, and building a workplace culture that appeals to the new generation entering the workforce, you’ll be ahead of the competition. Emerald TC provides software and consulting for manufacturing companies. We can help you choose the right ERP system for your needs and offer Sage and other software packages for every type and size manufacturing company. Contact us or call 678-456-6919 for more information.